“The Necessity for Political Honesty” by Bram Stoker. 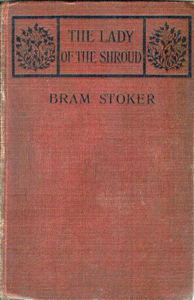 “The Necessity for Political Honesty” was a speech by Bram Stoker. It was first presented on November 13, 1872 in the Dining Hall of Trinity College at a meeting of the College Historical Society, University of Dublin, Dublin, Ireland. A strange story comes from the Adriatic. It appears that on the night of the 9th, as the Italia Steamship Company’s vessel “Victorine” was passin…g a little before midnight the point known as “the Spear of Ivan,” on the coast of the Blue Mountains, the attention of the Captain, then on the bridge, was called by the look-out man to a tiny floating light close inshore. It is the custom of some South-going ships to run close to the Spear of Ivan in fine weather, as the water is deep, and there is no settled current; also there are no outlying rocks. Indeed, some years ago the local steamers had become accustomed to hug the shore here so closely that an intimation was sent from Lloyd’s that any mischance under the circumstances would not be included in ordinary sea risks. Captain Mirolani is one of those who insist on a wholesome distance from the promontory being kept; but on his attention having been called to the circumstance reported, he thought it well to investigate it, as it might be some case of personal distress. Accordingly, he had the engines slowed down, and edged cautiously in towards shore. He was joined on the bridge by two of his officers, Signori Falamano and Destilia, and by one passenger on board, Mr. Peter Caulfield, whose reports of Spiritual Phenomena in remote places are well known to the readers of “The Journal of Occultism.” The following account of the strange occurrence written by him, and attested by the signatures of Captain Mirolani and the other gentleman named, has been sent to us.